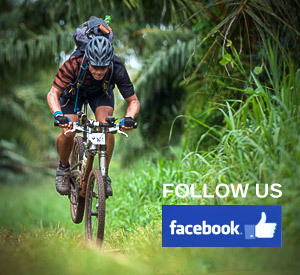 Provide a well-prepared and well-controlled mountain bike. Get an expert to check your tyres, wheel set and the wear parts such as chain and gears and your brake pads. Batteries for your computer and heart rate computer should be new because the cycling tracks are often rough and rocky, you should use a sturdy bike which can withstand it all. • A good front suspension is recommended, especially if you want to avoid back problems. 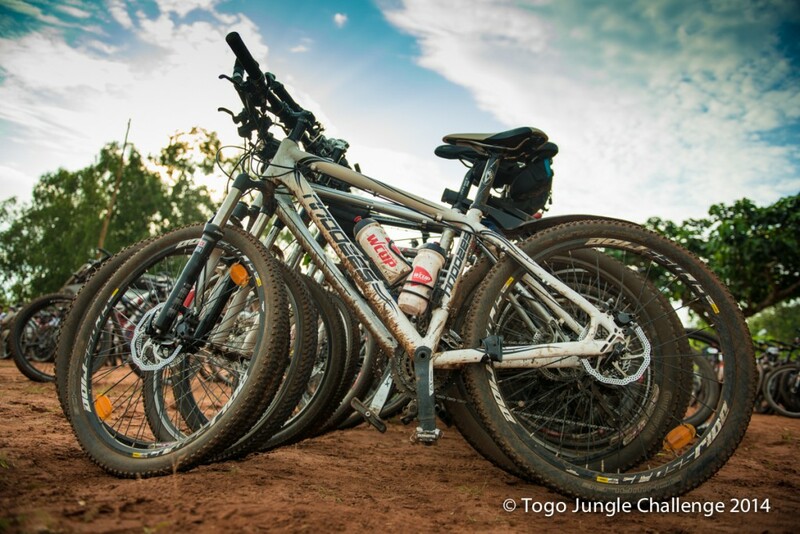 • A bike with full suspension will benefit you most and offer a smoother ride. • The front tyres should have knobs set more or less parallel to the direction of travel, for improved lateral grip and better steering control. The rear tyres should have transverse knobs for driving/braking traction. 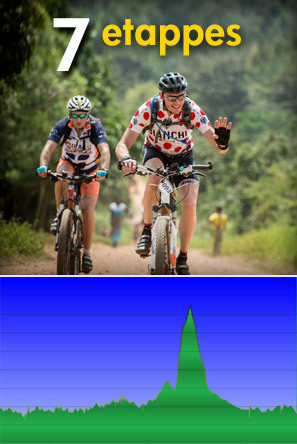 Some mountain-bike tyres come in matched sets, with different tread front/rear. • Recommendation: Continental Race King 2.25. • If you use tubeless tyres you will have better grip, control and shock absorption and less rolling resistance. • Make sure that you fit on the bike correctly. • Don’t necessarily choose lightweight, choose reliability. 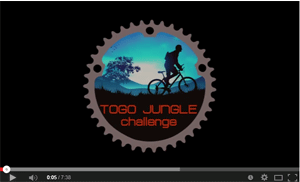 IMPORTANT: Each rider must wear a helmet at all times while riding during the Togo Jungle Challenge!